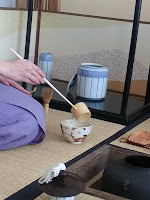 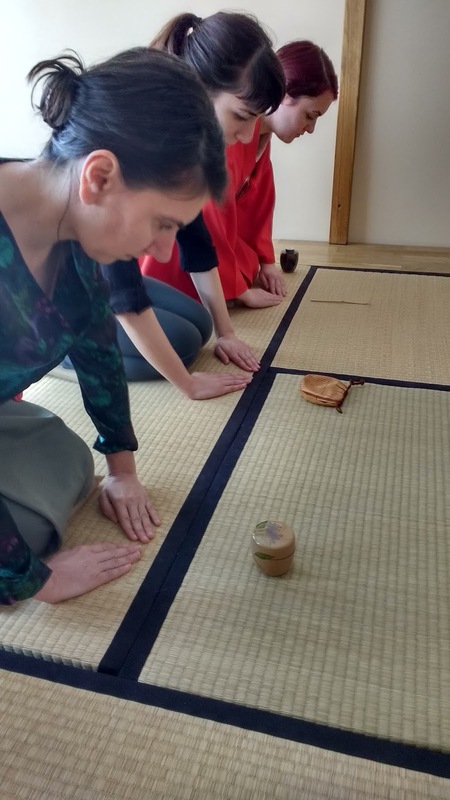 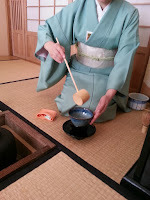 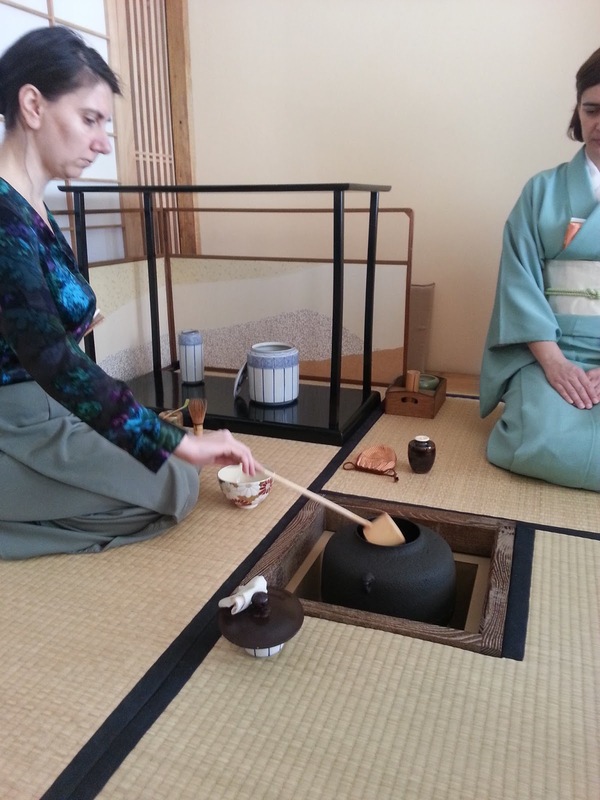 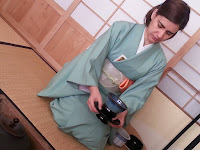 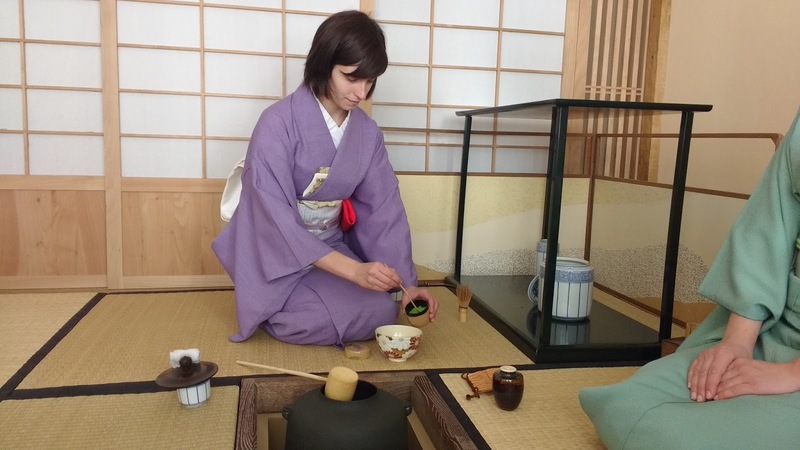 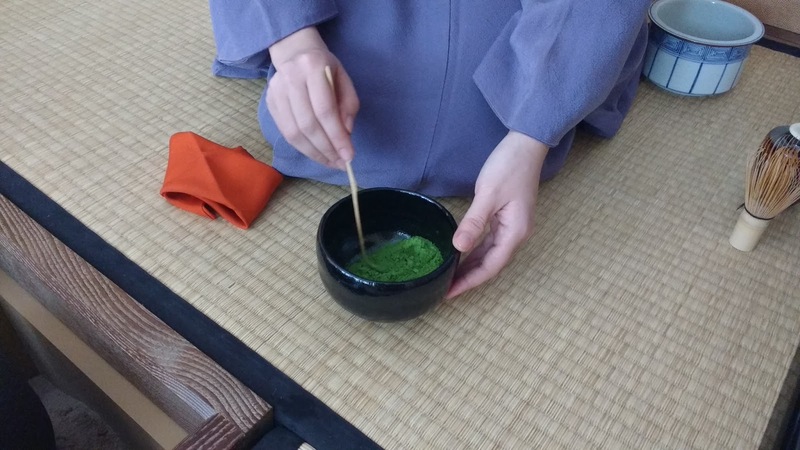 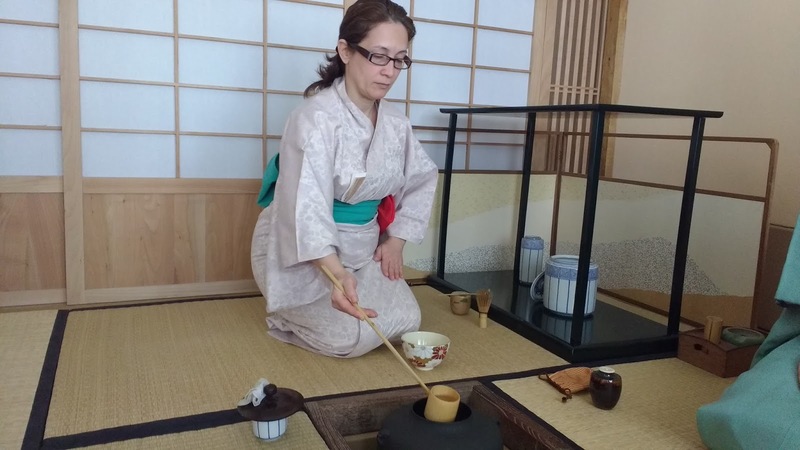 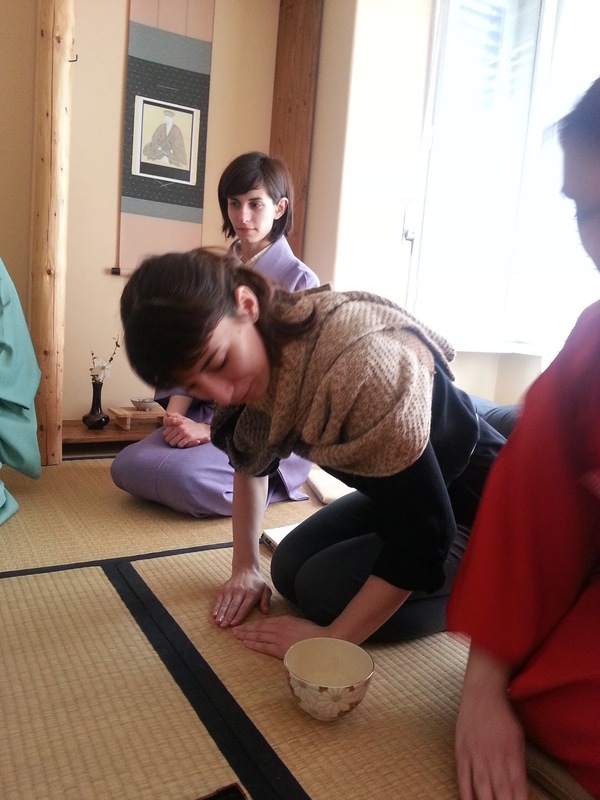 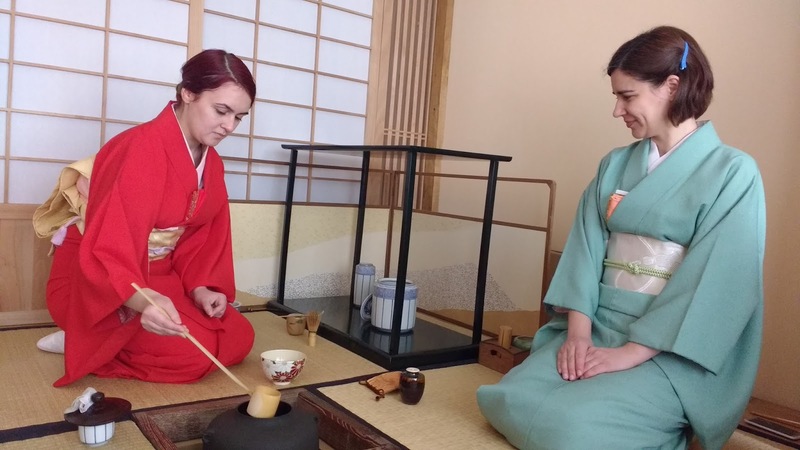 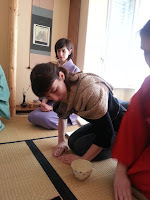 Each year, at the end of March we commemorate the death of Sen no Rikyu, the father of the Tea Ceremony, as we know and practice it. 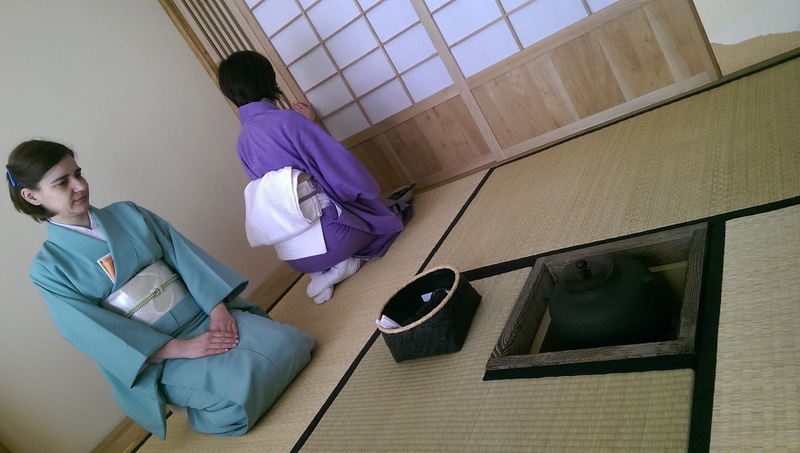 Sen no Rikyu was ordered to commit suicide by Toyotomi Hideyoshi, in 1591. 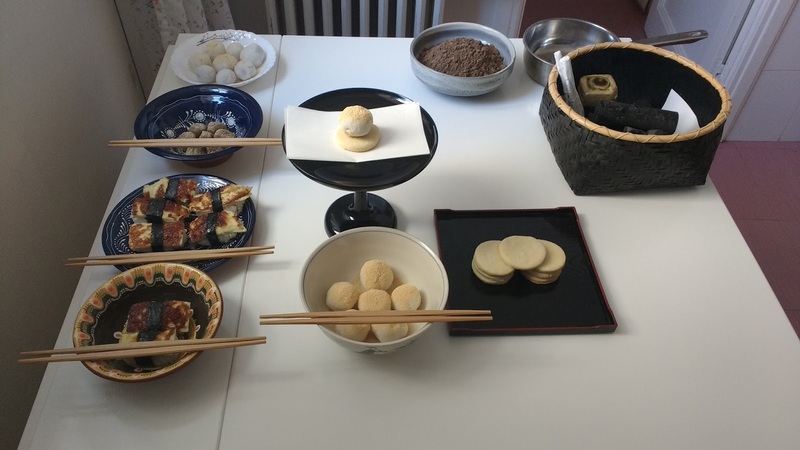 The ceremony consists in offering sweets and tea in the alcove in his memory, and soon after in sharing a bowl of tea with the guests. 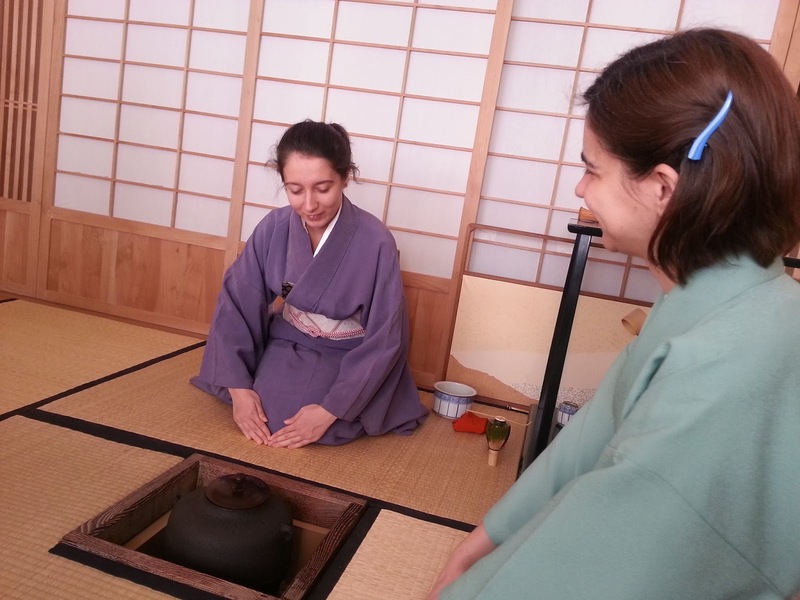 We hold a small ceremony, where we had the pleasure of working together with students from different study groups.